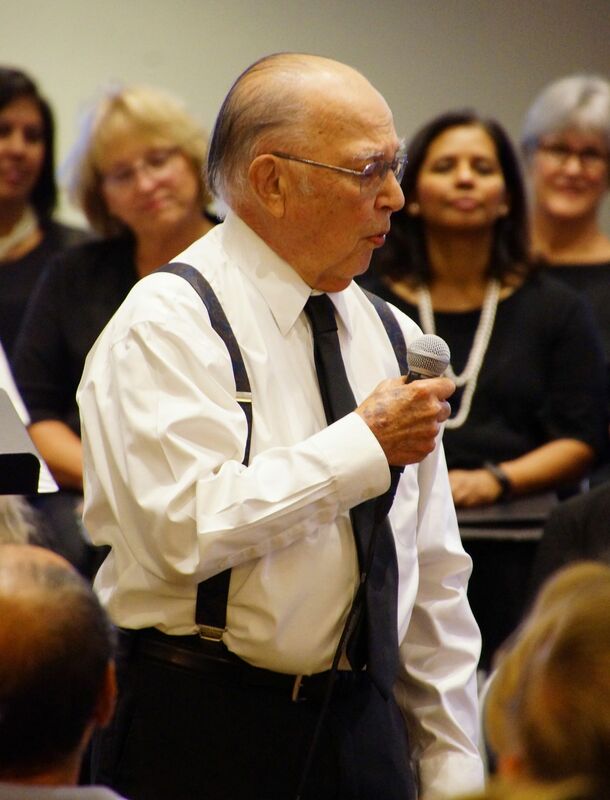 Academy Villas resident, William Archibald, is a member of the the local Vail Chorale. Recently, at one of their concerts, he was a soloist. This concert was held at the Arizona Senior Academy, and not a chair was empty. Following his solo, Mr. Archibald rejoined the rest of the group to sing, in harmony, songs from the 1940’s. Vail Chorale was founded seven years ago. At that time, the founding director was a resident of the Academy Village. Further, a number of residents from Academy Village and the Villas are members. Of importance to the chorale is that it belongs to the community and is open to anyone who is interested in singing. Presently, it has a wide variety of members ranging in age, gender and backgrounds. 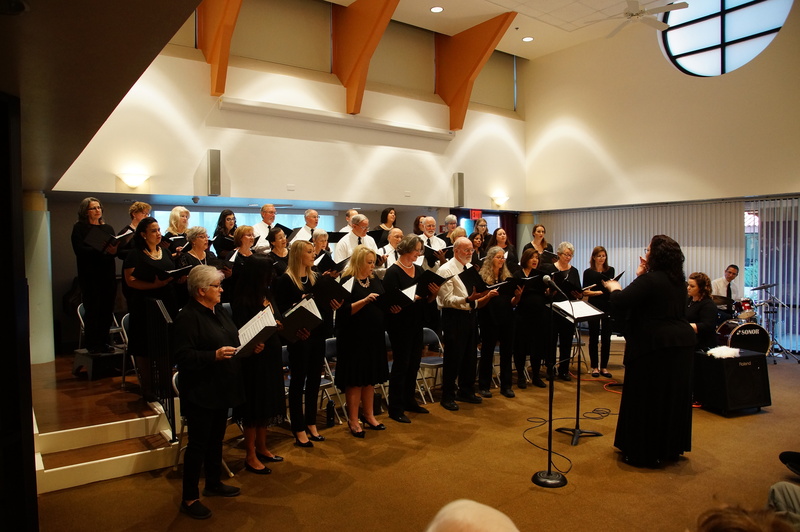 During the year, the chorale rehearses once a week, and presents a number of concerts. Music is an integral element in life in the Academy Villas. For example, residents can attend the weekly music presentations at the Arizona Senior Academy. Or, they can watch these concerts in the Villas on the TV. In addition, they have presentations from local musicians who travel to the Villas and engage the residents in singing old and familiar songs. A new fabric piece of art has become a permanent addition to the growing art collection at the Academy Villas. For example, the walls contain many pieces of art that brighten the rooms and are a joy to view. Further, residents also bring their favorite art works and photos to their rooms. Seen in the photo above the wall hanging is called “Lovely Birds”. It is is now on the Academy Villas living room wall. 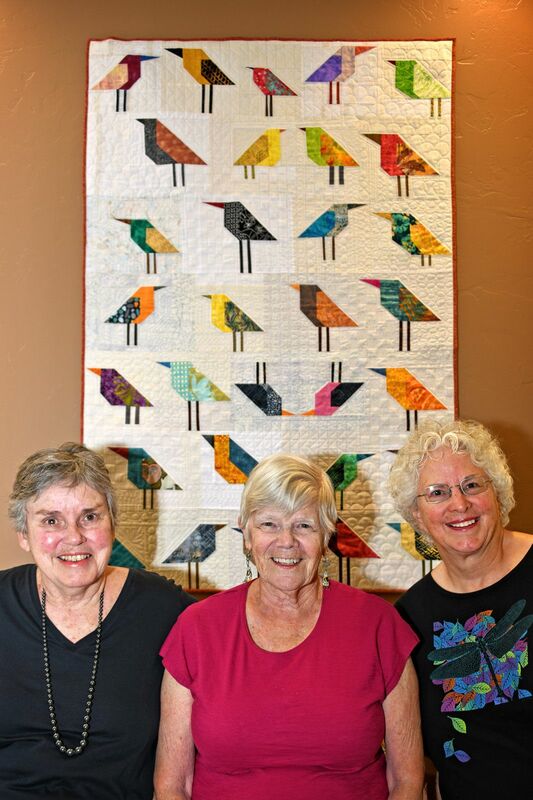 This wall hanging was created by three members of the Academy Village’s Quilting Group. Thirty very different, colorful birds, two of which are upside down, are portrayed. 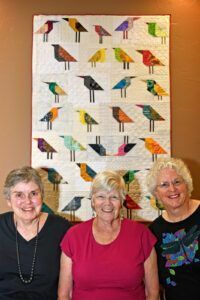 Fortunately, the quilters designed the wall hanging specifically for the Academy Villas walls and is well loved by the residents. For example, several residents have selected their favorite birds, and a couple of the birds now have names. Art has been described as essential to the human spirit. For example, art makes you think, it takes you to places, and makes you feel something. Further, art also says things that words just can’t say. For these reasons, art is a major element of the decorations in and activities of the Academy Villas. Residents, themselves create art, and join the art classes sponsored by the close-by Arizona Senior Academy. Wildlife surrounds the Academy Villas and can be seen on a daily basis. The Southwest desert of the United States supports a huge variety of fascinating creatures. The very pretty bobcat in the photo lives in the Village. While you would not want to get too close to him, he does not disturb humans. And there are many other forms of wildlife that live close the Academy Villas. Because we have a number of excellent photographers in the Villas and Village, we have gathered photos that represent the desert wildlife seen every day. 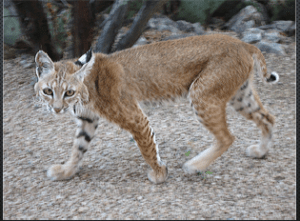 The photo of the bobcat was taken by Villas resident, Roger Shepard. 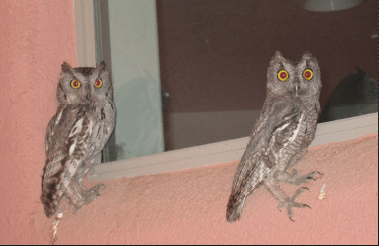 The screech owls, above, by Village resident Marcia Neugebauer. Amazingly, these owls live in Marcia’s front porch. While they are quite small, their eyes seem huge and they are constantly checking everything out. Like Marcia and Roger, many residents and Villagers take photos of the wildlife. Subsequently, we put together a number of these photos of wildlife, birds and insects, for others to see. There are 110 photos in this collection. Tucson, AZ supports one of the best Desert Museums in the world. However, the placement of the Academy Villas in the Rincon valley provides amazing sights every day. In a sense, the desert around us becomes its own wildlife museum. 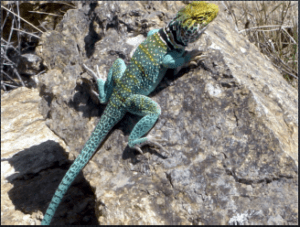 Above is a photo of a Collared Lizard. This lizard changes color very quickly if it is disturbed. These and other photos of wildlife by residents and Academy Villagers may be seen here.